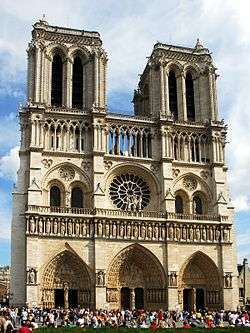 Cathedral Notre Dame de Paris. 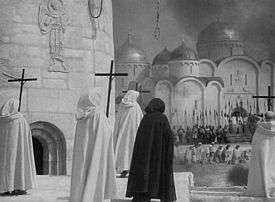 The Teutonic Knights in Pskov in 1240 as depicted in Sergei Eisenstein's Alexander Nevsky (1938). ↑ "The Sack of Constantinople by the Crusaders"
↑ Christiansen, Erik (1997). The Northern Crusades. London: Penguin Books, 287. ISBN 0-14-026653-4. 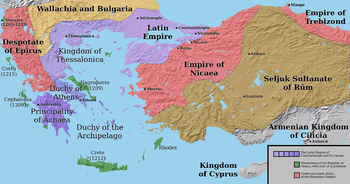 ↑ "Fourth Crusade, 1202-1204" Even after Greek control of Byzantium was re-established, the empire never recovered the strength it had had even in 1200, and the sole effect of the fourth crusade was to weaken Europe's chief protection against the Turks. ↑ Lamb, Harold. The Crusades: The Flame of Islam, Double Day and Company, Inc. New York. 1931 pp.310-311. ↑ "Crusades" In The Islamic World: past and Present, edited by John L. Esposito. Oxford Islamic Studies Online, http://www.oxfordislamicstudies.com/article (accessed February 17, 2008).